Welcome to GeekMom Comic Book Corner, where we recap our adventures in comics for the week! In this installment we have reviews by Dakster Sullivan, Kelly Knox, and Corrina Lawson. I’ve always been a fan of the Star Wars movies, but until recently I’ve never considered reading the comic books. The whole idea of a universe separate from what I’m used to in the movies didn’t sit well with me. Since it’s Star Wars week on GeekMom, I decided to give at least one of them a try. Boba Fett Is Dead is not only my first Star Wars comic book, but also the first story I’ve read that is outside of DC and Marvel Universe. 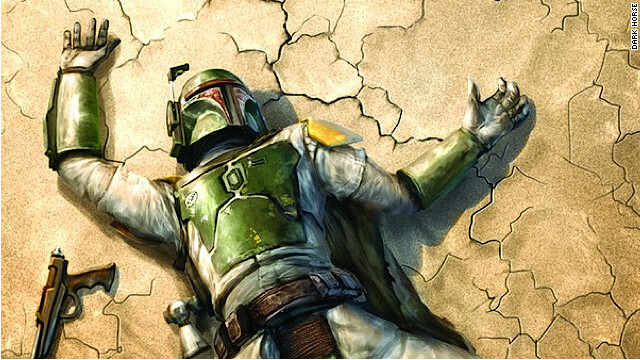 The story surrounds the untimely death of the bounty hunter, Boba Fett. After we see the shock of the galaxy, the rest of the story centers on one man who sets out to avenge the bounty hunter and kills off the team responsible. The man behind the murders is ruthless and uncaring in his methods to say the least. The story ended with me wondering who the man is and what his relation to Boba Fett is. It was interesting to read and believe one thing, only to to discover on the last few pages that my assumptions were way off. In the beginning, it was all a little confusing for me, but that didn’t destroy my reading experience. I’m looking forward to the next issue, which is scheduled to be released at the end of the month. While I went to the store last weekend for Free Comic Book Day, I also picked up a few other comics. My favorite among the batch was Smallville Season 11 #1 by Brian Q. Miller and Pere Perez. I didn’t watch the last few seasons of the television show so I worried I might be lost but the issue is fun to read, introduces all the main characters well, and foreshadows a new threat. It’s perfect for new readers. What I loved most was the banter and friendship between the cast. It’s nice to see a Lois and Clark who work as partners, something that’s not much present in the regular Superman comics right now. This is being published digitally first, which means the electronic version is out before the print version. The electronic version is a steal at 99 cents while the print version is $3.99. I’ve been a fan of Power Girl for a long time, so I’ve been anticipating her appearance in the New 52. She’s had such a confusing past — she’s Supergirl! No, she’s Atlantean! No wait, Kryptonian again! — that I was looking forward to a new start for her in the pages of Worlds’ Finest. Power Girl is the Supergirl of Earth 2, who has come to Earth 1 with Helena Wayne, aka Huntress, through mysterious and tragic circumstances. The first issue of Worlds’ Finest briefly covers the events that brought them to Earth 1, and while it didn’t make for a bad back story, I wasn’t quite interested enough to pick up the new Earth 2 series to get all the details. I am happy to see Power Girl’s moxie is still there in her latest incarnation. She’s still confident and unreserved, and as Karen Starr she’s a billionaire and the head of a large corporation. 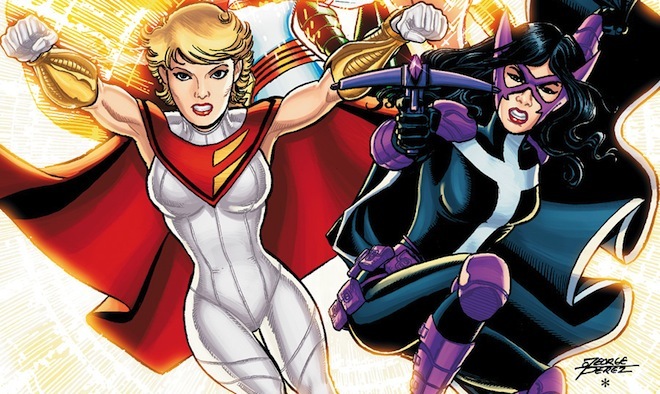 Power Girl and Huntress are as good friends as I’d hoped they would be. Their friendship is something that I want to see develop, and I’m thrilled to see the Power Girl I know and love, so I’ll be following the series for at least a few more issues.